See if a cash-out mortgage refinance is the right option for you. 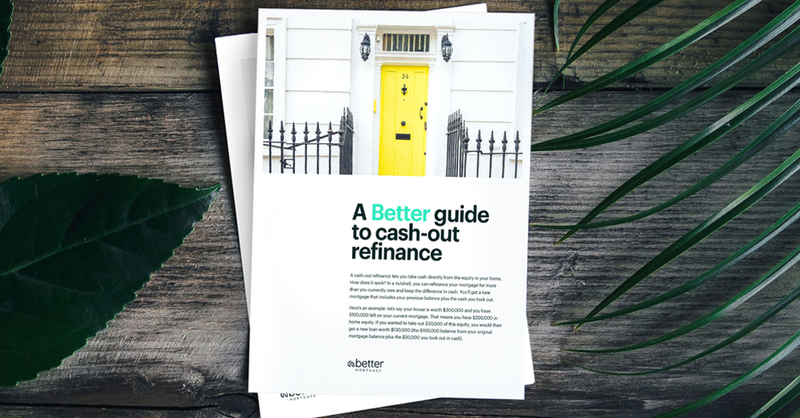 If you want to consolidate your debt, reinvest in your home, or take cash out to pay for personal costs (like medical bills or education), we have everything you need to know about cash-out refis in one easy place — your inbox. Enter your email address to get the guide delivered to your inbox.